App Store Optimization, otherwise known as ASO, is a nuanced skill-set that has escaped the attention of most digital marketers. However, it can be a critical part of marketing strategy for companies who want to drive app downloads from Google, Google Play and the iTunes App Store. While some aspects of ASO are considerably more simple than traditional SEO, international ASO can be surprisingly complex because of the level of detail and international knowledge necessary for success. Companies that use apps to reach an international audience face a particularly challenging task, because many of the nuances of international ASO are not well-documented anywhere online. This three-part article series is designed to fix that situation. These articles will help drive awareness of the complexity, share details about international ASO implementation strategies, and provide an instructional resource for companies that need to optimize apps that are deployed around the world. This article will begin with a discussion of Google and Apple’s increased focus on ‘The Next Billion Users.’ and how devices and connectivity can impact strategic marketing decisions. It will then provide resources and guidance to help determine which countries, languages or regions a company should target, and how to manage the projects to meet important KPIs in those countries. The next article will focus on the fundamentals of international ASO, discussing the nuanced differences between internationalization in the iTunes App Store and Google Play, and how that impacts your deployment and localization strategy. 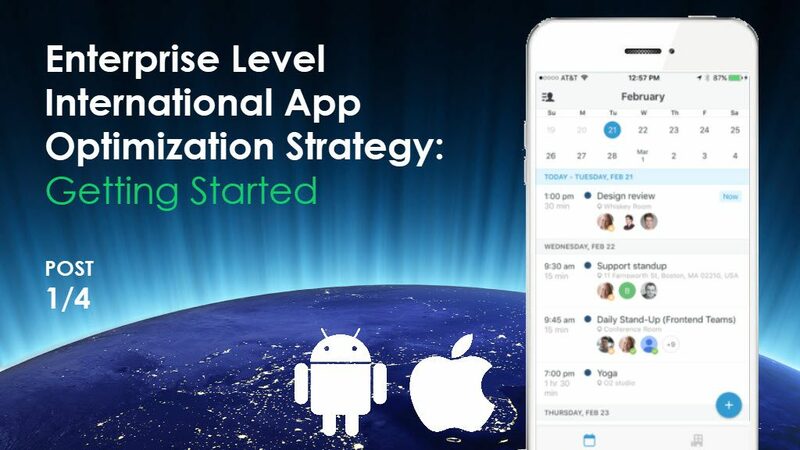 The third article in the series will focus on how to implement and manage your ASO campaign, and how translation and localization can impact app development, launch and update strategy. 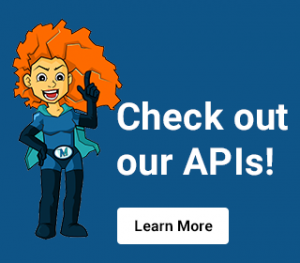 The final article in the series will provide details about how you can maximize app rankings and downloads with country or language-specific changes to your metadata submissions, and how to track and measure your success. If you are new to ASO, it might help to check out our ‘App Indexing & The New Frontier Of SEO: App Packs & App Store Search’ article, to establish a baseline understanding of ASO optimization strategy before reading any further. In the past couple of years, Google, Apple and even Facebook have been increasing their focus on what they describe as ‘The Next Billion Users.’ This is a demographic term that groups people who live in underdeveloped or developing regions, who have historically had minimal personal access to the internet and/or who have just recently built out the necessary infrastructure for widespread personal internet access. The demand and growth potential for internet content in these regions has become clear, and the international web-behemoths want to capitalize on it before small regional operations can take hold.The focus on The Next Billion Users is not a call to ignore markets that are currently strong, but instead to recognize the limited growth potential in “Developed” nations that already have a lot of mobile internet users – The Developed market is saturated or reaching full saturation, so there is infinitely more growth potential elsewhere. All projections show that the next few years’ growth of mobile internet in places like India, South America and the Middle East will be huge. According to Google, Brazil, India, and Indonesia are already in the top 10 countries with the highest Search Volume for Google Search. As an example, 100 million new users went online in India alone from 2015 to 2016, and India is projected to have around 1 billion unique mobile subscribers by 2020. With ASO, it is especially relevant to note that the Next Billion Users generally skip wired-line internet and computers and go straight to mobile data and devices. They have fewer preconceived notions about software and computing, and may be more reliant on apps for all aspects of their digital life. 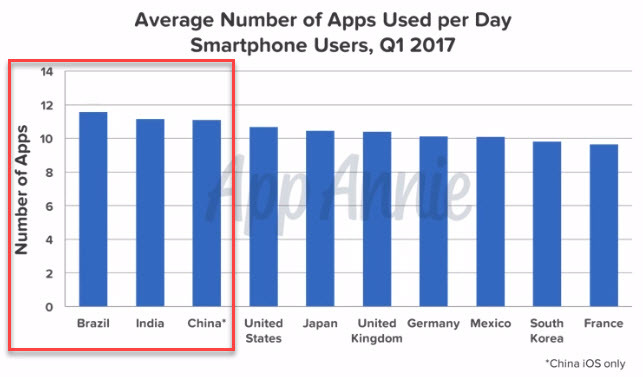 In fact, according to the App Annie chart below, Brazil, India and China use more apps per day on average than any other country, including the US, Japan, UK and Germany. With this level of intense app engagement and rapid growth, the opportunity for a successful ASO project is potentially immense. Knowing local details about the use-case for your app will help ensure that your app secures market share quickly, before local or international competitors do. Google is deeply committed to reaching the ‘Next Billion’ users – So much so, that they have begun catering some technology directly to people who have slow and/or limited internet connections, and/or limited storage space on their mobile device. For example:• AMP, PWA & Instant Apps – For the web, Google has been advocating a lot of web-based app alternatives that focus on speed, local caching and optimizing UX for inconsistent connections or offline use-cases.• Android Go – Google’s lightweight version of the upcoming Android O operating system, designed to run on smartphones that have 1 GB, or even 512 MB, of RAM. (Source: http://www.androidauthority.com/android-go-773037/)• YouTube Go – Targeted to Indian consumers, this app will let you download videos and control data usage while streaming video, which is perfect for people with slow/limited internet connections. (Note – the app is still in beta, but has a sign-up page in English and Hindi: https://play.google.com/store/apps/details?id=com.google.android.apps.youtube.mango&hl=en_US)• Chrome Lite & Chrome 64 – Chrome Lite is a lightweight browser that focuses on loading critical content first, to maximize the value of a mobile web experience with limited connectivity. Chrome 64 is the most recent Chrome update. Both allow users to save content for later downloading, especially good in cases where connectivity is limited. They both also includes a ‘Low Data Mode’ which leans heavily on local browser caching, overriding explicit cache settings on a site to maximize the speed of data transfer. At its most basic level, ASO is about user acquisition, and international ASO is no different. Starting with the right country or countries makes it much more likely that your internationalization efforts will be rewarded with new, engaged users. However, many businesses make the mistake of starting international ASO in countries without first considering the factors that might increase or reduce their potential user-base and ultimate success in those regions. Before any company begins an ASO project, the pragmatic reality of the users that you would like to target should be understood and conveyed to developers as soon as possible. Stakeholders should know the most common types of mobile operating systems and handsets in your desired locations, and the average level of connectivity available to most users at different parts of the day, and which OS most users will be on – Some regions are much more heavily populated by iOS devices and others Android. In some cases, apps may need to work on completely different handsets that are only available regionally, which is also important to know and plan for. Some areas are more likely to have fast, new phones with loads of memory while others are more likely to have older phones, a model or two back. All of these things should be taken into consideration when deciding which operating systems and phones the development teams should prioritize or de-prioritize, how large the app download should be, how much the app can rely on robust data connectivity, what types of features will make app engagement easier for the user and also where to focus testing and quality control. The following sections include details about how you can learn more about these topics and research specific countries to make the best business case for your efforts. If an app requires that users have a strong, consistent connection to the internet, you’ll want to know which international users have access to fast, reliable, and affordable internet, and to what degree that the access is available throughout the day: at work, at home and while commuting. If countries that you wish to target do not have a robust cellular infrastructure, your app may need to work offline and/or gracefully handle inconsistent connectivity in order to appeal to that audience. It may also need to include different experiences for WiFi vs. cellular data connections or the ability to monitor and self-regulate it’s own data consumption on different connections. You can get a sense for this from Wikipedia, which has a very simple resource that outlines the mobile device penetration by country, and also a basic outline of 4G penetration. 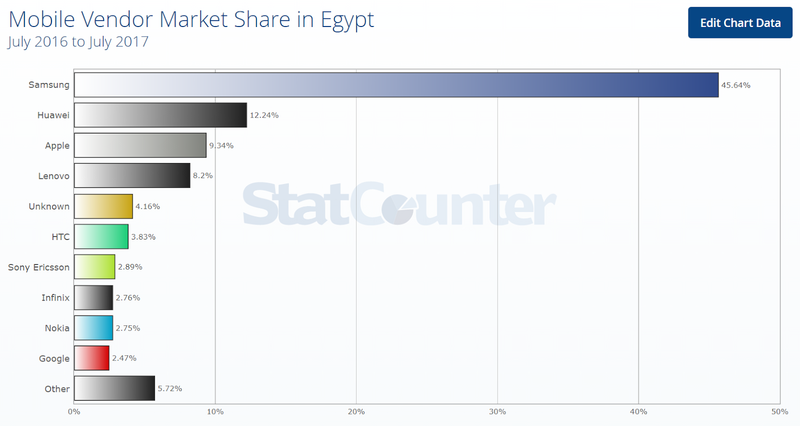 The GSMA also has a great map utility to help visualize mobile device penetration. 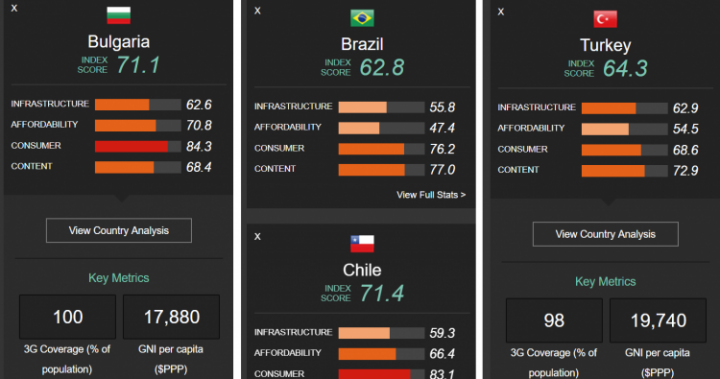 It includes heat maps and relative scoring on things like 4G penetration, infrastructure and affordability of mobile data. A phone’s operating system determines which apps it can run in the first place. iOS app that are accessed from the iTunes AppStore can only work on iOS devices like iPhones and sometimes iPads; Android apps that are accessed from Google Play can only work on devices that run the Android OS. iOS devices are only manufactured by Apple, but many companies manufacture Android devices; (The top ones are Samsung, Google and Huawei.) 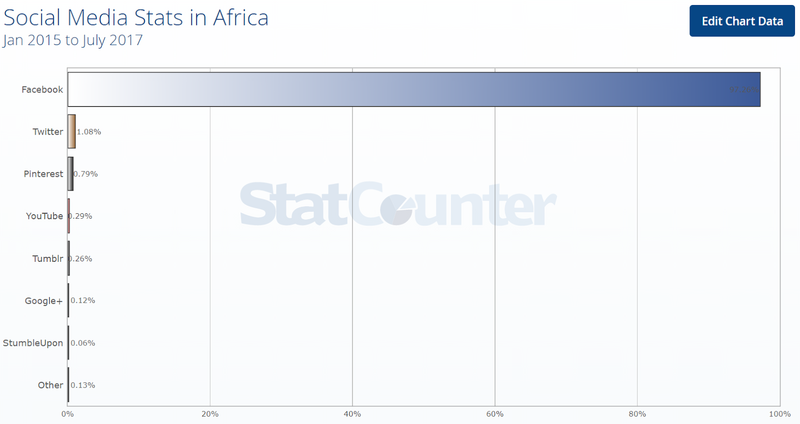 Some countries have more iOS users, while others skew more towards Android. 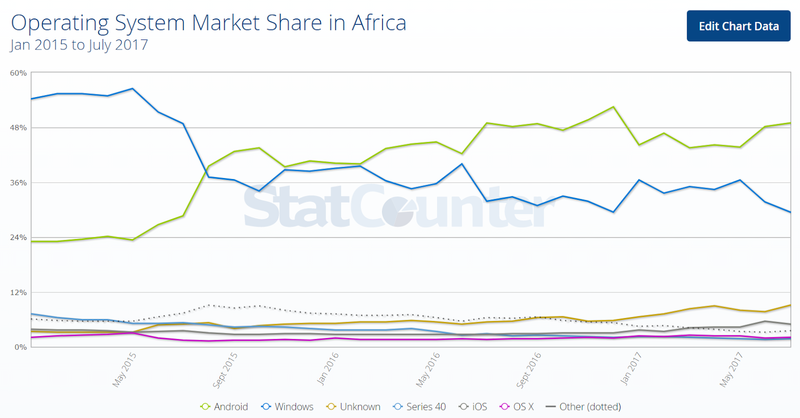 If you’re used to working in the US market, which tends to have a larger iOS population than many other countries, the OS market-share in developing countries may surprise you. The US is basically split 50/50 between iOS and Android, but the affordability of low-end Android handsets generally makes the more popular in developing markets. 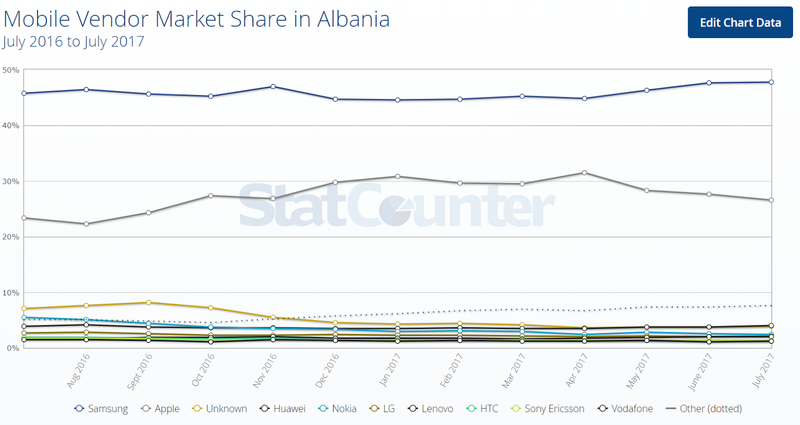 StatCounter is a great resource for generating customizable charts to help determine and compare the mobile OS market share in a variety of different countries and regions. As shown below, these charts can also provide data about the breakdown of mobile vs. tablet vs. desktop use, browser and browser-version market share as well as search engine and social media market shares. The best part is that all of the data can be exported into CSV for quick and easy comparison. Even within one operating system (Android or iOS), mobile handsets can vary in terms of screen size, RAM, disc space, and even some of the functionality they can support. 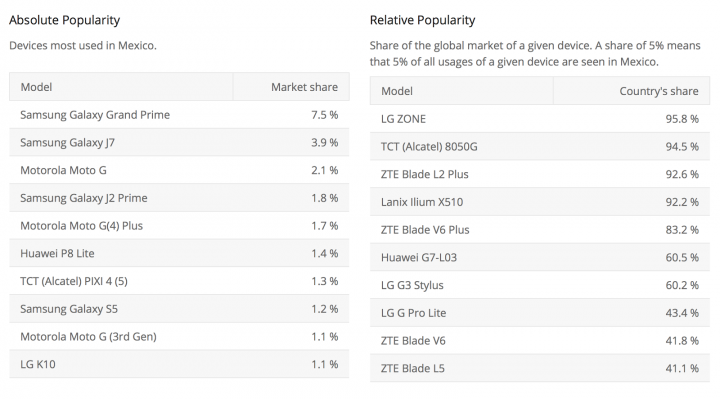 While there are only a limited number of iOS devices available, there are a much larger variety of Android handsets on the market to consider, so understanding which handsets are most popular in each region can illuminate those users’ pragmatic barriers to downloading an app. For example, if you find that the most popular handsets in a particular region are devices with low storage space, you shouldn’t expect your 128MB app to get a lot of downloads in that region. 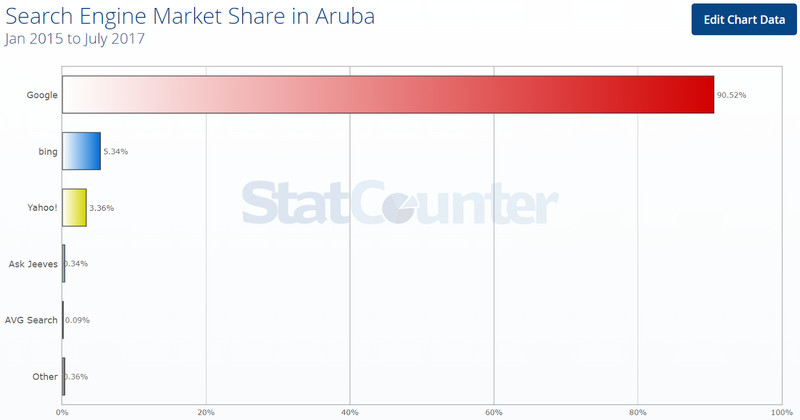 You can only expect success in regions like this if you build and market a lighter-weight app that requires minimal local storage on the phone. 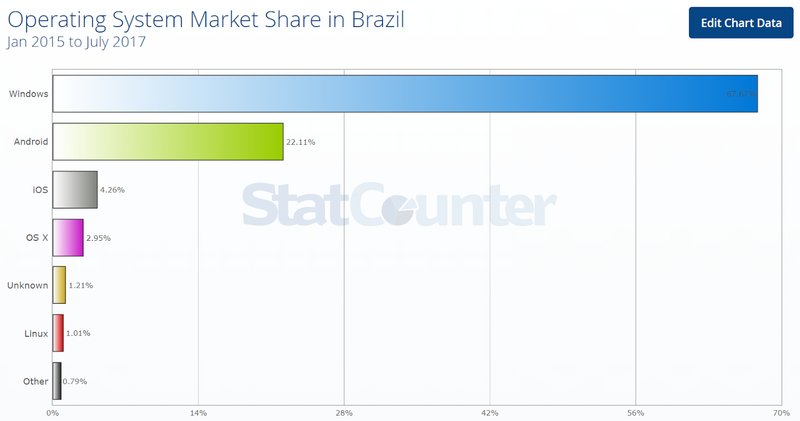 Handset popularity can also help you prioritize the next countries or languages where you want to expand. If a country’s handset landscape closely resembles another region you target, you’ll be able to replicate much of your existing development work and to target the new region. On the other hand, if you’ve decided to to target a country with a whole new landscape of devices, handset research can help optimize your app’s testing process for the new device types and anticipate potential issues before you publish. China is a good example of a country with a unique unique mobile device landscape — Samsung and Apple face fierce competition from Chinese smartphone manufacturers, potentially making development for these regions more complicated. There are a few places you can research international device usage. Getting information about top iOS devices is a bit harder, but also a bit less important, since their development and rendering is so tightly controlled to help manage interchangeability across the different devices. You can start with Device Atlas, which gives basic information about handsets and specifications for all different types of devices used around the world, including iOS. 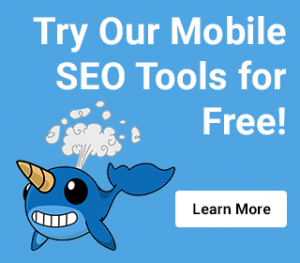 If you have a mobile-website, you can also use your website reporting to see which devices most commonly access your mobile website by region, and this may help fill in any of the missing pieces. This data will be more tailored to the users in your particular market, and will even more closely match the potential devices that you’ll see using your native app once you launch in that region. Mobile devices have made the internet more accessible to audiences around the world, including a group of people widely referred to as The Next Billion Users, who are getting online for the first time. This group offers a new and substantial opportunity for international apps, but these regions pose unique challenges that marketers and app developers may not have needed to consider in the past. By acknowledging the pragmatic reality of users in each country and paying close attention to their handset, operating system, and mobile connectivity needs, you can develop a solid plan for international expansion. You can also make adjustments for any technical changes the app needs, to make it viable and compelling for users in your newly targeted regions. Does my app require that users have regular and reliable access to the internet? Will limited internet connectivity potentially make it difficult for people to download the app? When will people want to use this app in their day, and will they have the necessary connectivity to use it properly at that time? Are there elements of the app that should be partitioned for a WiFi/Data-rich experience, so that they don’t disrupt regular use of the app? Are there any parts of the app that should run offline, to accommodate users with limited mobile connectivity? What mobile OS and screen sizes are most common in the areas we are targeting? Does it make sense to target both iOS and Android? Which is the priority? Will the app struggle to work on the area’s most-used screen sizes, or with less advanced hardware? 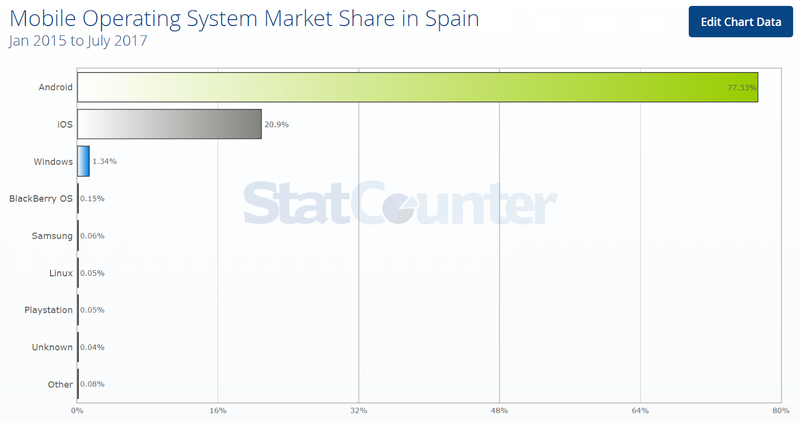 Is the app backwards-compatible with previous Operating Systems that are popular in this country? Your answers to these questions will shape your app’s international strategy as you evaluate potential regions for expansion based on their connectivity, dominant operating system(s), and handset landscape. Once a company has sussed out the necessary details to build an international expansion strategy, the next step is to think about how localization works in the iTunes App Store and Google Play Store, so that you know what changes to the metadata will be necessary to achieve top rankings. With that in mind, the next article in this series will cover the localization differences between the iTunes and Google Play App Store.